Each pendant is hand stamped by me into silver precious metal clay, then fired in the kiln until it becomes a pendant that resembles the old fashioned wax seals found on vintage envelopes. The silver is reclaimed , added to a binder and water. 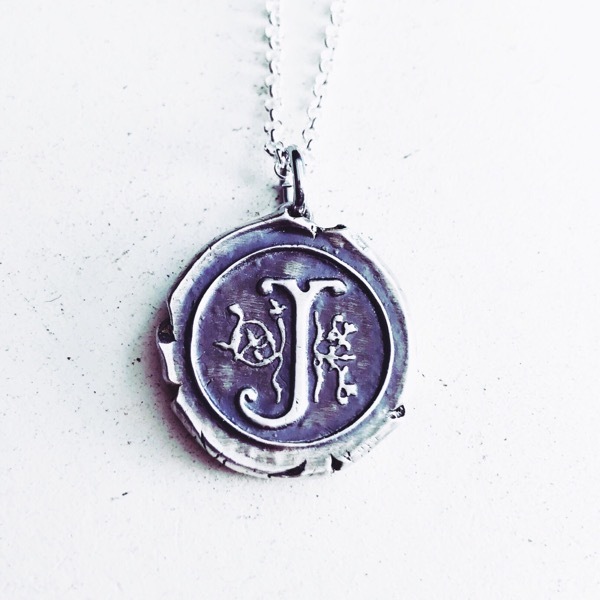 During firing, the binder and water burn out, leaving only .999 fine silver so you can wear your unique pendant knowing that it's smart, eco-friendly jewelry.